From the bestselling, Edgar Award–winning author of the “terrifically good” (The New York Times) Red Sparrow, a compulsively readable new novel about star-crossed Russian agent Dominika Egorova and CIA's Nate Nash in a desperate race to the finish. 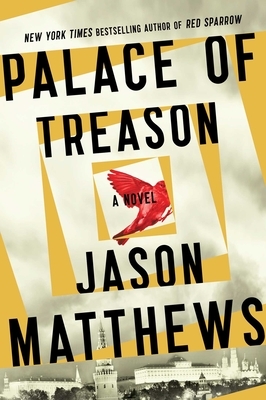 Just as fast-paced, heart-pounding, and action-packed as Red Sparrow, Jason Matthews’s second novel confirms he is “an insider’s insider…and a masterful storyteller” (Vince Flynn, #1 New York Times bestselling author). "His real life experiences in the shadowy world of spying make the story fresh, timely and nearly authentic...a sophisticated, behind-the -scenes, powerful story...well-written, creative." "You too may also conclude that Red Sparrow is the best espionage novel you've ever read." "A primer in 21st-century spying... terrifically good." "A smart, intriguing tale...Fans of John Le Carre and Ian Fleming will happily embrace Matthews' central spy."